PLEASE NOTE: These materials were created for Passover 2016. 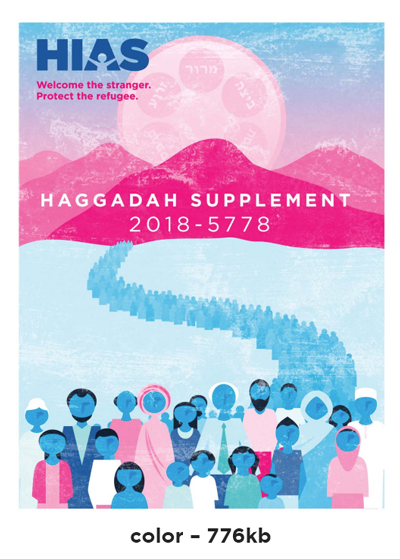 If you are looking for the most up-to-date Passover materials from HIAS, please visit www.hias.org/passover. The Passover Seder plate is one of the oldest symbolic representations of the Jewish people’s historic refugee experience. In the face of unprecedented efforts to limit refugees’ ability to seek safety in the United States – even as more people are displaced by violence and persecution than ever before – these powerful symbols of both the unimaginable suffering and the boundless resilience and hope of refugees feel particularly poignant. 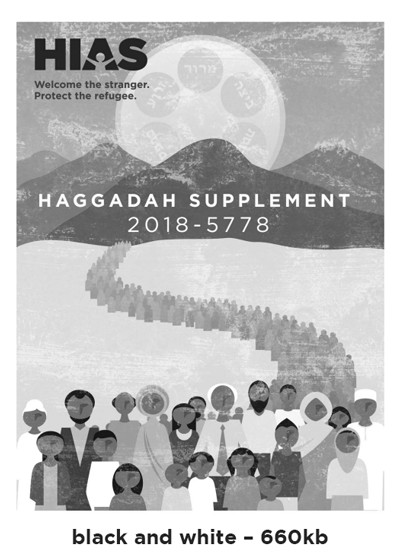 Download HIAS’ 2018 Haggadah supplement to explore these symbols in the context of the contemporary refugee crisis. Click the color or black and white image below to begin PDF download. The black and white version is optimized for printing at home.